The Norwich Film Festival & Norwich University of The Arts are excited to be hosting an event with Screen South who lead the Ignition Network Centre for the South East. 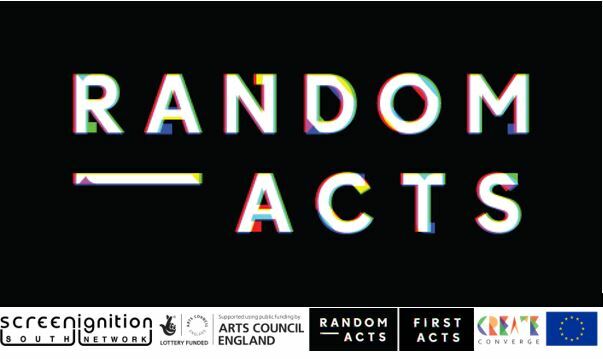 As a team they worked in partnership with the Arts Council, Channel 4 Random Acts and the Ignition Network to deliver an exciting opportunity for 16 – 24 year old emerging, creative artists and filmmakers. This session will see Screen South Ignition Showcase some of its First Acts Random Acts previous short films, followed by a workshop which will cover the opportunities for new short films and filmmakers. This will be a wonderful experience for those interested in breaking into a career in film to hear from a brilliant organisation which supports new and emerging talent. This event is INVITE only and will focus mainly on those ages 16 – 24 years old who are in Education.